September 2, 2011, Pathari Morang. 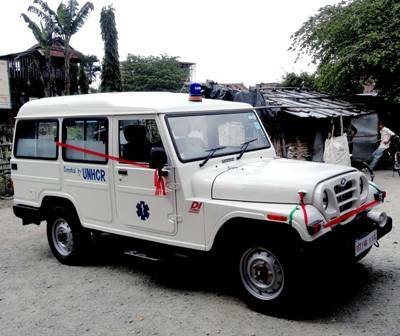 UNHCR has provided an ambulance to Pathari Health Post. 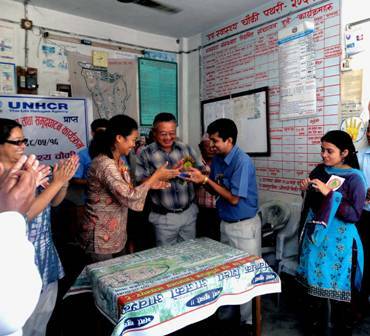 In a ceremony organized at Pathari UNHCR Damak chief Riyanawati has handed over keys and a blue book of the ambulance to the chairman of Health Post Management Committee Mr. Mohan Raj Bhattarai today. 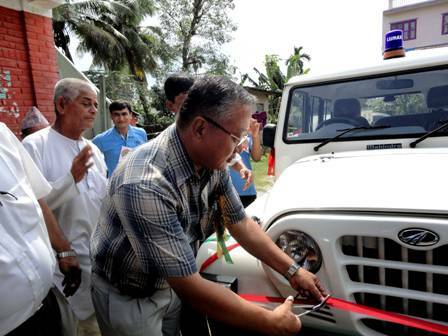 The chief guest of the ceremony or DPHO Nawaraj Subba inaugurated the ambulance service on the same occasion at Pathari Health Post. A felicitation to 99 yrs old Mr. Manjit Rai was done by wearing Dosalla and giving certificate by the chief guest of the program. Mr. Rai has made remarkable contribution to the health sector in Pathari for a long time. Dr. Madhurima Bhadra from AMDA, Rup Narayan Bhattarai, Pom Dahal, Mohan Tumbapo, Tilak Bantawa and Murari Acharya spoke in ambulance handover and inauguration program.